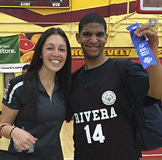 Special Olympics Southern California's Schools Program encourages inclusion, participation, and leadership in students through the power of sport. 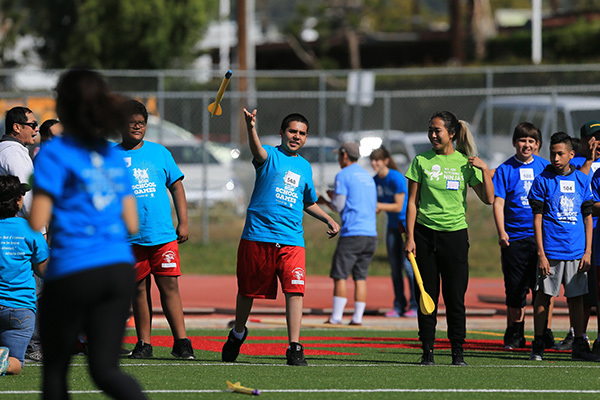 This partnership between schools and Special Olympics Southern California includes sports training and competition, inclusive youth leadership and whole school engagement for students of all ages. Do you think you have what it takes to become a champion school? 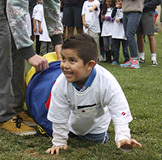 Activities are available for all school-aged athletes from grades K through College. People think that just because he or she is handicapped that they will not be able to do certain things. But that is not true. We can do things. Simply put, we can. 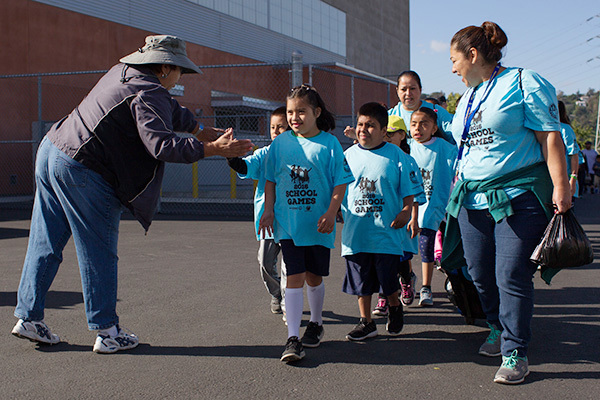 Complete and submit our online forms to get your school involved in the schools program! 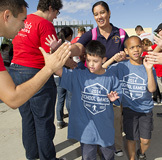 Do you have a success story about the Special Olympics Southern California school program that you would like to share? Complete and submit our online form and share the inspiration! We will feature your stories on our website!